In Southeast Asia, cities are the engines of economic growth. But with millions of people flocking to work and live in megacities, many problems come to the fore. For example, by 2050, 66 percent of the world’s population will likely be concentrated in urban areas. The challenge is determining how cities can supply their citizens with proper housing, transportation, security, food, water, and energy while ensuring that they maintain economic-, social-, and environmental sustainability. 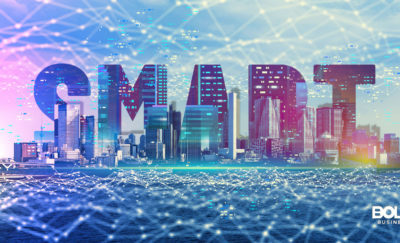 Smart cities maximize the use of data, wireless connection, and the Internet of Things to create city-wide efficiencies that benefit its people and businesses. Innovation is not endemic to more advanced Western nations. Advancements are found all over the world, sometimes even in smaller cities that have more issues to address. Southeast Asian cities are taking major steps to innovate city living. Danang is one Asian city that has experienced rapid growth in recent years. It has an abundance of science and engineering schools which help IT leader, FPT, secure talent. In 2016, the company opened an IT hub, employing about 10,000 engineers. With other companies laying down roots in the city as well, Danang is growing into a tech hub. In two years, and with the help of FPT, the city plans to combat traffic jams through real-time road- and traffic signals monitoring. It also plans to implement an electronic patient record system for hospitals and a crop management tool for farmers. In additions, Danang will use smart technology in natural disaster response and rescue. Other parts of Vietnam are also reinventing themselves into smart cities. Hanoi, in partnership with Japan’s trade ministry and companies like Sumitomo and Mitsubishi, plans to be a fully operational smart city by 2023. Ho Chi Minh, on the other hand, is teaming with Keppel from Singapore to develop smart tech. In late 2016, the government of Hangzhou launched a project called City Brain with the Alibaba Group and Foxconn Technology Group. City Brain is an AI hub that uses big data and real-time analysis to help the city think and make decisions. It will deploy public resources to address any issues in everyday city operations, like road accidents, emergencies, and safety hazards, with the AI hub synthesizing videos to discern where traffic congestions occur. Public testing showed that it has improved traffic light and flow regulation in major roads. It was reported in January 2018 that City Brain will also be used in Malaysia. India plans to create 100 smart cities. The project is still being developed, but the city of Pune has a plan to become a green city and gather data from its community to optimize transportation and city services. It will also connect existing buildings, making transportation more efficient. Twenty-five miles east of Seoul, Songdo was developed to be a city unencumbered by the woes of Seoul and other overpopulated cities. Songdo surveys traffic through sensors on the streets and in buildings. It is a green city, with more open spaces than infrastructure, and cycling is the best way to commute. Apartments are digitally advanced, with neighbors holding video chats with each other, and everything can be done remotely. A massive wind tower also keeps the city cooler than the city’s surrounding areas. While the city has failed to attract businesses and residents, and completion dates have been pushed back, city developers are confident that it will soon be fully functional. In June 2018, Singapore’s Minister of Communications and Information said that the country is ready to pioneer smart city initiatives, and it will collaborate with a network of nations across Southeast Asia. Singapore has proposed the establishment of the ASEAN Smart Cities Network, a collaborative platform for cities to work together in building sustainable urban areas. 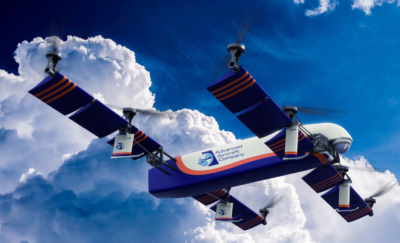 With the growth of connectivity and new technologies, there would be more opportunities for business and disruptive innovations in the region. While hundreds of cities all over ASEAN states are just starting to adopt smart tech, Singapore is already leading the way because of its scale. The country lacks the overlapping state-, local- and federal bureaucracies of other major cities, but the government is willing to spend generously on infrastructure. Adopting new innovations is not new to Singapore. In 2014, the government launched “Singapore Smart Nation”, an initiative that aims for the country to be the frontrunner in developing and implementing IoT making it the Asia smart city. 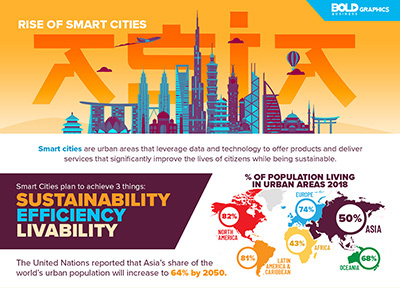 Singapore is expanding the use of technology to position itself as a leading global smart city. It is developing smart Housing & Development Boards (HBDs)—condominium-type units with built-in smart infrastructure. Its Home Energy Management System allows residents to monitor and manage appliances, like lights and air conditioning, remotely. Its public spaces will also have smart technology in terms of lighting, car park management, and waste disposal systems. Some homes have IoT devices that are controlled by a smartphone. Additionally, they also have sensors for senior citizens that monitor their movements and notify caregivers when they detect irregular behavior. Singapore is smart city initiatives also are developing another cashless payment alternative in the form of accessories. An embedded chip in watches, rings, or IDs will turn these items into payment devices, eliminating the need for cash and credit cards. The city is working on a 3D map project called Virtual Singapore as well. It will include data on buildings, land, and environment. This would help government agencies solve problems like identifying flood-prone areas. The public can contribute to the project by sending information about traffic patterns and the locations of different establishments. Apps like MyTransport and Bus Uncle are helping commuters travel more efficiently. They accurately inform users of bus arrival times, give directions, and can even tell how crowded it is on each bus. The city is also planning to apply driverless minibusses, that would ferry commuters from the train stations to their homes, and self-driving cars will test on public roads. There are also service apps like MyResponder, which mobilizes a community to save cardiac arrests patients within their vicinity, while OneService lets citizens send feedback about any municipal issues. Unlike other countries and cities, Singapore has less space and resources to work with. It ranks third worldwide in population density and reached its reclaimed land limits in 1995. The country needs to intelligently manage, save, and maximize its land by reshaping its housing infrastructure. It also wants to be independent. By 2061, it intends to be self-sufficient, as it still depends on Malaysia for water. By then it wants to decreases its reliance on Malaysia from 75% to 50%. In terms of food, 90% is imported; Singapore wants to increase its food security by 2030 by growing its own. The megacity also wants to reduce energy consumption, hoping to decrease by 95% its dependence on natural gas from Malaysia and Indonesia. Singapore has a lot to work on. But it knows how to maximize its resources to fulfill its future as a smart city. Given its advancements and tech initiatives, it is on track to lead Southeast Asia into an exciting smart technology era. Once other countries see how successful Singapore becomes, the rest of these ASEAN nations will follow suit, which will ultimately create rich cultures and economies within the region.